The Complete Summer Package at 52 Degrees! Envision yourself walking down the sunny boardwalk seaside with our indoor beach inspired experience only at 52 Degrees. 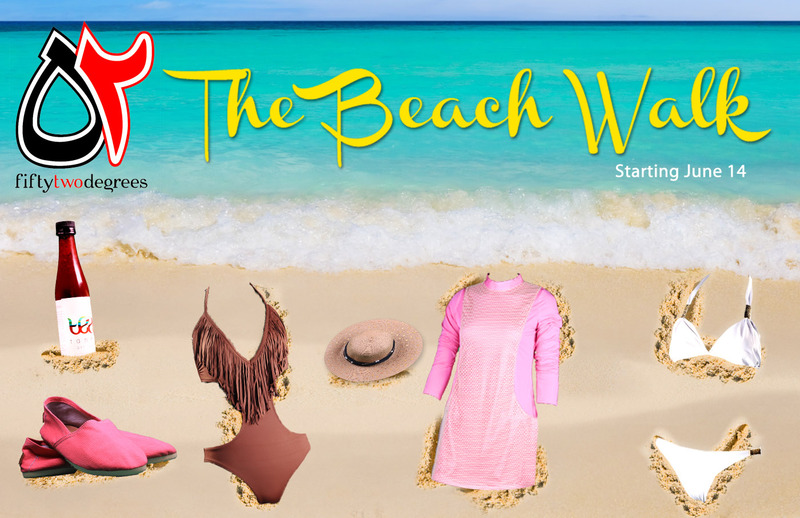 This Tuesday join us at “THE BEACH WALK” and find your essentials for this summer, from light basics, beach chairs, golden tanning oils & summery shoes. 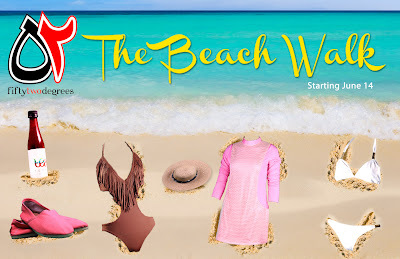 Reina Style swimsuits by Rana Al-Naqeeb, Teanna tanning oil by Sara Al-Yaqout, Beach chairs by Eng. Ahmed Al-Baghli & summery kaftans by Nashel & Samia.